Whatever your surround sound setup, these versatile BMR (Balanced Mode Radiator) rear speakers will vastly improve your audio.Using a BMR driver over traditional cone drivers gives the Aero series several key advantages ? adding up to a radical difference in audio quality compared to its rivals.In the Aero 3, using BMR drivers delivers a far more immersive, natural and coherent sound than traditional speakers, with a greater frequency response �? from 80Hz-22kHz. And BMRs naturally deliver a wider, more room-filling sound ? ideal for rear, surround speakers. Plus they're more forgiving of placement than traditional speakers.The Aero 3 speakers are also more versatile than traditional rear speakers, not just in terms of placement options. 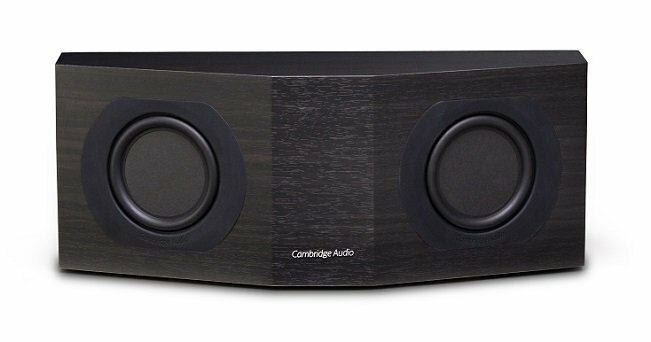 The speakers can run in "bipole" setting, with the two 4" BMR drivers outputting the same audio in opposite directions for an immersive wash of rear surround sound, ideal for a traditional 5.1 surround system. But for stunning 7.1 surround, without the hassle of placing more speakers in your living room, the Aero 3 speakers can also be ran in "dual monopole" mode with one driver running surround and one running "surround back".These surround sound speakers fit a wide variety of room layouts, offer subtle, classic looks and are configurable for multiple setups. Aero 3 rear speakers offer versatility combined with stunning audio detail and serious, room-filling sound.